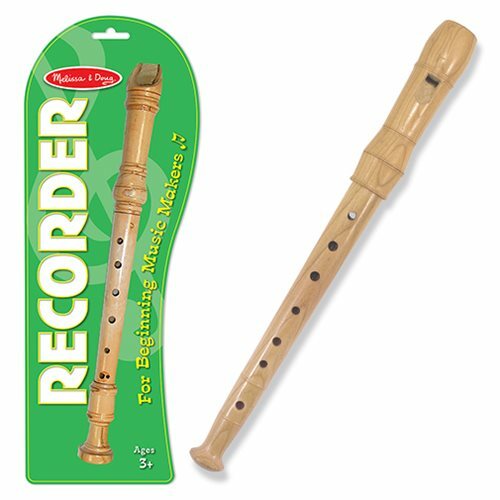 Even the Pied Piper would have fun with this wooden recorder. Develop rhythm, melody and fine motor skills while creating your own music! The recorder measures about 12 1/2-inches long. Ages 3 and up. Please note: The item you receive may be different from the one pictured.